My first Field Studies in YIS was very exciting and I enjoyed it very much. The activities we did were mostly new to me and I am sure that my comfort zone has expanded a lot during the Field Studies. From all the activities that I have done in Field Studies, there were three activities that I found especially challenging as well as activities that I learned a lot from. The three activities were rafting, canyoning and mountain biking. 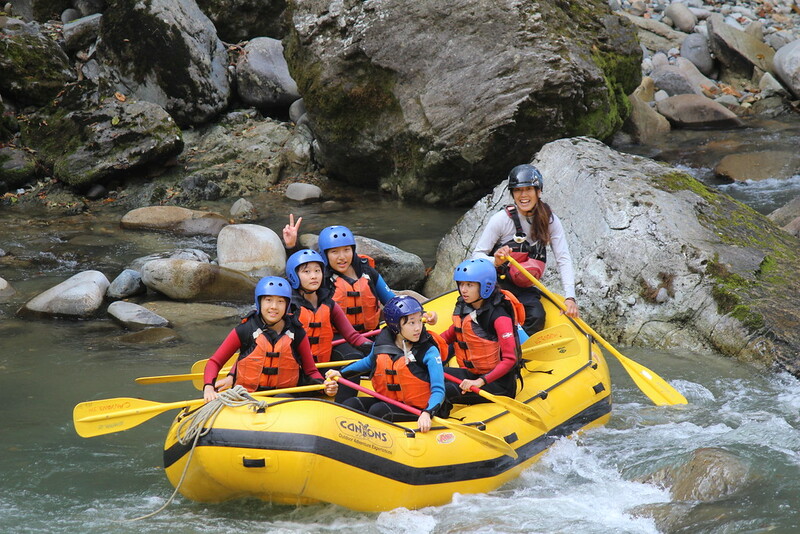 In rafting, there were few difficulties, such as rowing at the same time so that the boat will move forward and keep the boat balanced. To overcome this difficulty, we communicated with each other. Communicating with each other helped us row at the same time because we said “1,2,1,2” and we rowed at 1 and came back to the starting position in 2. Also our guide communicated with us by giving signs such as “Duck down!” or “To the left!” and we did as she told us to so that we would be able to go through the river. 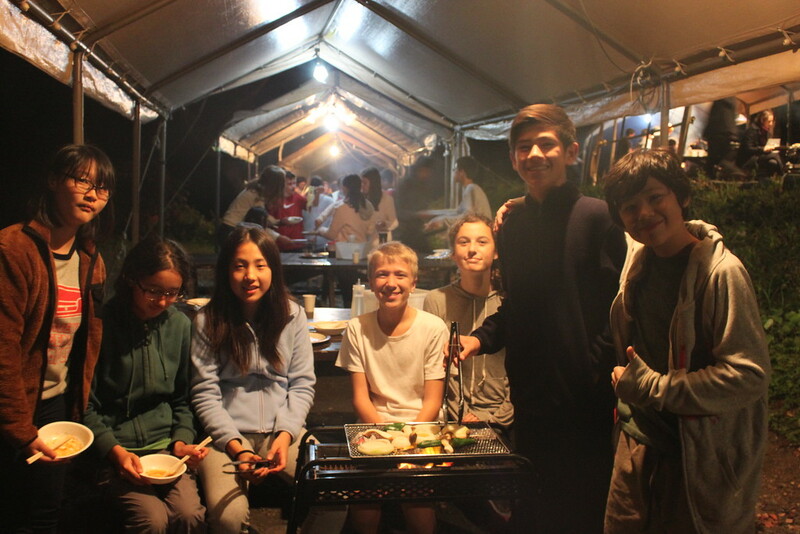 By communicating with each other, we learned a lot about each other as well and I was able to make new friends. Communicating with others will also be helpful in other areas of life, such as playing sports. When you are playing team sports such as volleyball and basketball, I think it is very important to communicate with each other so everyone knows what is going on and know their roles. It can be also applied in other places such as debating and doing a speech. By communicating you can get inspired or persuaded which might change your life. 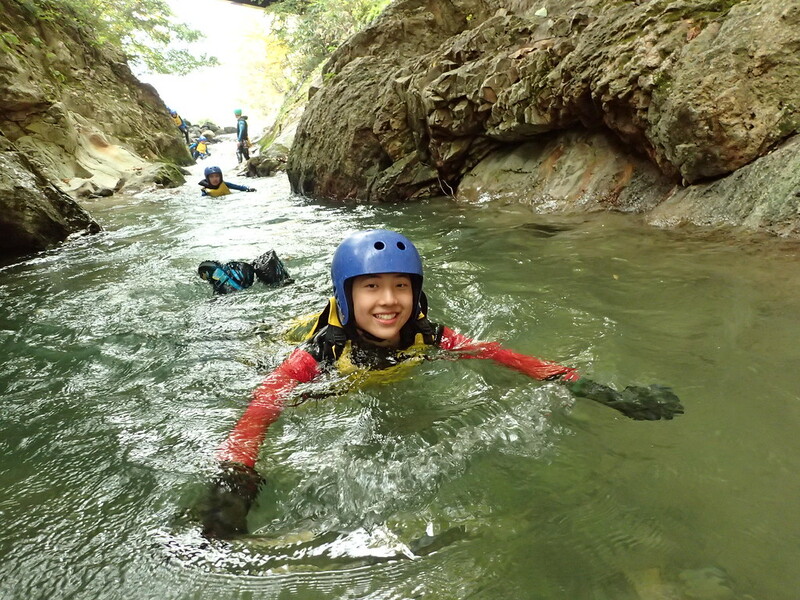 In canyoning, the difficulties were to actually do canyoning and making it to the end. This was the first time canyoning for me and I was very nervous and scared at first because of the hard rocks, strong current and high jumps. When I got to the 20m waterfall, I was very scared but my team members encouraged me, saying “You can do it!” and I think that helped a lot. Because of the encouragements, I was able to do it. I thought that if everyone in front of me has done it and they were okay, I thought that I was going to be okay. Encouragements from others and encouraging others can also apply in other places in life such as with friends and families. Everyone faces challenges and difficulties through life and there are times when we can not overcome them by ourselves. However, if we had encouragement from friends or families saying “I believe in you. You can do it!” we will feel better and we might be able to overcome the challenge. Encouragements can also give hope. For example, if someone was taking an exam and they were nervous, encouragements can give them hope and make them do well on the exam. As listed before, there are may ways encouragement can help us through life. 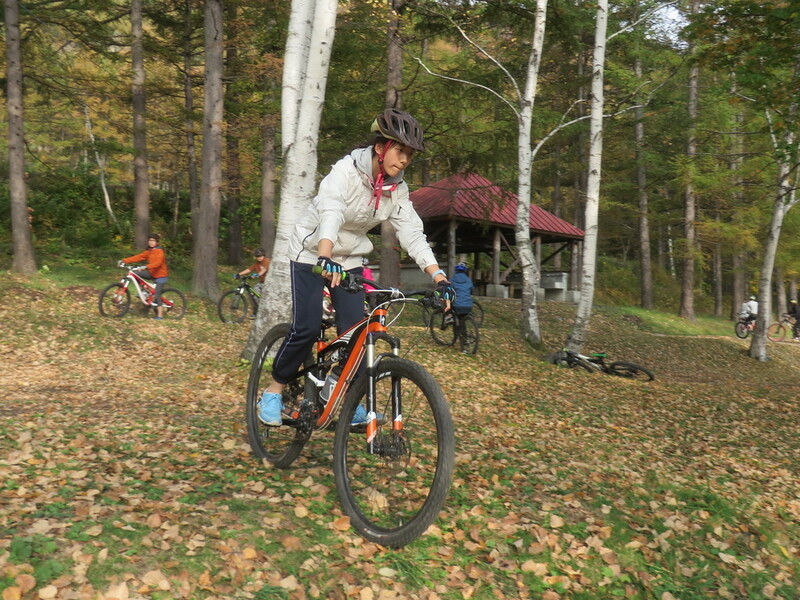 Lastly, in mountain biking it was very difficult to go down the steep slope and not give up. It was a long time since I rode a bike and I was very nervous. There were many times when I thought that I would not be able to do it. My bike slipped and sometimes, I was about to fall. What helped me overcome the difficulties was thinking of the accomplishment I would feel after doing this and expanding my comfort zone. I learnt that I have to be a risk taker to expand my comfort zone and that I would feel accomplishment after doing it. I think that this can be applied in other areas of life such as when you are trying new things. Life is full of new things and you have to be a risk taker and take risks or else, you will be stuck in one place and not move forward. I like to think of how I would feel after finishing the thing I will be trying so that I would be abel to take risks. If I overcome one challenge, I would also be confident and would be able to believe in myself. If I was able to believe in myself I will be able to overcome more and more challenges and that will lead to my happiness. For me, the Field Studies was fun and exciting as well as very educational. I was able to learn a lot of new things and make new friends. I was able to expand my comfort zone as well. Therefore I am looking forward to the next Field Studies and learn more new things and expand more my comfort zone.